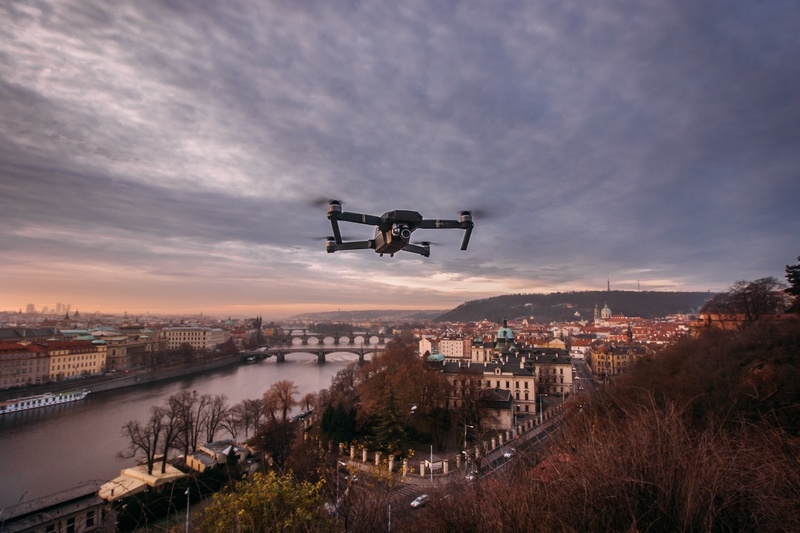 <h2>We need a drone register to ensure privacy and safety - air traffic expert</h2><br /><p><strong>It is likely that we’ll be seeing more and more drones in our skies, particularly in cities. What do you see as the main benefits of this?</strong></p> <p>‘Transport of medical supplies, for example. In the press, there are examples of patients who have died because an organ that they were waiting for was stuck in traffic, or something similar. There was a story in <a href="https://www.rtbf.be/info/regions/liege/detail_greve-chirurgien-bloque-dans-l-embouteillage-la-patiente-meurt?id=9114394" target="_blank" rel="noopener noreferrer">Belgium about this</a>. That’s a tragedy that could be averted by the use of drones, where an organ is attached to a drone and can be flown to its destination directly. It’s quick, it’s simple, and it would not be subject to the problems of traffic.</p> <p>‘The police authorities and fire departments could use drones at accident and crime scenes to collect evidence, or to help manage the incident. Drones could also be used by air accident investigators to help them to oversee a site, or even to try to recreate the final moments of a flight before a crash.</p> <p>‘An element of this, which is increasing in importance, is urban air mobility (UAM). UAM is a flying taxi, if you like. Some of the <a href="https://www.bbc.com/news/technology-41399406" target="_blank" rel="noopener noreferrer">vehicle prototypes are already flying</a> – the idea is that you call your taxi and a drone arrives, you step in and off it goes.</p> <p>‘There is also a growing demand for last-mile package deliveries, which could both speed up delivery of important packages and reduce the number of trucks on the road.’</p> <p><strong>With all these benefits, what are some of the challenges drones bring?</strong></p> <p>‘There is a need to maintain privacy as a fundamental principle of U-space services<strong>. </strong>Those are easy words to say, but the problem comes in implementation. On one end of the scale, you could say people live in cities, therefore don’t fly small drones over cities. That would solve the privacy issue but, of course, then you would kill the market and that would be counterproductive.</p> <p>‘It’s very difficult sometimes to identify what is an authorised mission and what’s an unauthorised mission. For example, somebody could abuse privacy by flying a drone up the outside of an apartment building to peek into somebody’s window and take pictures – but the same drone could fly up to the top of the same apartment building to inspect a damaged roof or to check if drains are blocked, which would be a very good use of a drone.’</p> <p> <div class="quote-view quotesBlock quote_horizontal"> <div class="quotesTop"><img src="https://horizon-magazine.eu/sites/all/themes/horizon/images/quotes_top.png" alt="" title="" /></div> <p>'There is a need to maintain privacy as a fundamental principle of U-space services. '</p> <blockquote><p>Robin Garrity, SESAR Joint Undertaking</p></blockquote> <div class="quotesBottom"><img src="https://horizon-magazine.eu/sites/all/themes/horizon/images/quotes_bottom.png" alt="" title="" /></div> </div> </p> <p><strong>What’s the solution?</strong></p> <p>‘We envisage producing a register identifying each drone. This could be done through a system similar to the SIM card in a mobile phone, so that when you get your drone, it won’t do anything unless it confirms that it is registered and authorised. You put your ‘SIM card’ in and then the first thing it does is it connects your drone to a service provider, and then it says yes, this is a legitimate user and you are allowed to fly, and that is determined by whatever process is put in place.</p> <p>‘But if it is an unregistered drone, or if you haven’t recorded your flight in the system, the authorities can still track it. The intention is that the U-space system can track all flying drones and identify their operators, whether or not they are on an authorised mission.’</p> <p><strong>How will you prevent drones from flying into potentially dangerous areas, like into airspace reserved for commercial aviation? </strong></p> <p>‘The drone knows where it is due to its navigation capability, usually GPS (Global Positioning System). There’s a digital map that’s already uploaded to the drone, and a comparison is made between its position and the known areas where it can’t fly – a process called geofencing.</p> <p>‘If its geofencing database isn’t up to date, the drone won’t fly. It will only start to fly if it’s in an area that it knows it’s allowed to fly in. If you live in an area that’s close to Brussels Airport, for example, and you decide you want to fly your drone, you can try and launch it, but it will stay firmly on the ground.</p> <p>‘In fact, some drones are already fitted with geofencing capability. It’s not mandated, simply because at the moment, there are liability issues. If a drone flies into a no-go zone because the geofencing data is wrong, who’s liable? The capability exists, but how the service should be presented, delivered and implemented is still being determined.’</p> <p><img class="@alignleft@" title="Drones need to be registered and their use regulated to maintain privacy, says Robin Garrity. Image credit - SESAR Joint Undertaking" src="https://horizon-magazine.eu/sites/default/files/RobinGarritycrp.jpg" alt="Drones need to be registered and their use regulated to maintain privacy, says Robin Garrity. Image credit - SESAR Joint Undertaking" width="624" height="403" /></p> <p><strong>What are some other challenges you anticipate with more and more drones in our cities? </strong></p> <p>‘We’re expecting a much higher degree of automation in vehicles. If someone puts up a tower crane along a drone’s route, the drone would have to notice the tower crane and avoid it, and if there’s another drone coming in its direction, it has to see that and avoid it. Of course, if there is a police helicopter flying around looking at a car crash for example, it has to avoid that too. That is much harder than it seems. A variety of technologies that exist could solve this issue, but particularly where there’s manned aviation involved, the need to guarantee quality and performance makes this a difficult problem to solve.’</p> <p><strong>What would happen if a drone flew into the path of a medical drone in order to avoid a helicopter?</strong></p> <p>‘A detect and avoid system could work with the same philosophy as the Traffic Alert and Collision Avoidance System (TCAS) that’s currently used as a safety net to prevent collisions between airliners, although the technology itself may be very different. Under this paradigm, the drone detects the intruder and avoids it. If it then sees another drone, it or the other drone, avoids in turn, and so on. Of course, it’s not quite as simple as that, and research into Detect and Avoid is still very much ongoing. Manned aircraft will always have priority, and some classes of drone could also be given priority status, such as medical drones referred to before. The European Commission has asked SESAR Joint Undertaking to investigate this problem, and we have a number of research projects underway at the moment which are looking at these particular issues.’</p> <p><strong>What are the next steps for the U-Space initiative? </strong></p> <p>‘The next steps for us are to complete the up-and-running exploratory research projects, including one project defining the operational concept, and several more looking at technological issues. We are also running three large demonstration projects, with several more about to start, including one dedicated to geofencing. All of these research projects will provide important output and we’ll be working very closely with the European Aviation Safety Authority (EASA) to help them refine the final drone regulations, and with EUROCONTROL to ensure a harmonised approach to achieving safe drone integration.’</p> <p> <div class="moreInfoBlock"> <h3>State of play in Europe</h3> <p>In 2016, the European Commission proposed the establishment of an automated traffic management system for drones operating at low-level, referred to as “U-space”.&nbsp;</p> <p>Up until now, EU Member States have been solely responsible for smaller drones (weighing less than 150 kilograms). However, legislation was adopted on 26 June 2018 to <a href="http://www.consilium.europa.eu/en/press/press-releases/2018/06/26/ensuring-aviation-safety-and-safe-use-of-drones-council-signs-off-on-easa-reform/" target="_blank" rel="noopener noreferrer">introduce EU-wide regulations for drones</a>.</p> <p>The new regulatory framework that is being developed by EASA will ensure that flying drones will be safe even as the skies become increasingly busy. A key safety aspect dictates that drones capable of causing significant damage on impact will have to be registered in a new EU-wide database system. Basic principles regarding safety, security, privacy, data protection and environmental protection are outlined under the new legislation, with more detailed regulations to follow later in 2018.</p> <p>The European Commission has committed <a href="http://europa.eu/rapid/press-release_MEMO-16-4123_en.htm" target="_blank" rel="noopener noreferrer">EUR €44 million to integrate drones safely</a> into the airspace and to the&nbsp;<a href="https://www.sesarju.eu/" target="_blank" rel="noopener noreferrer">SESAR R&amp;D programme</a>&nbsp;under its U-space initiative.</p> </div> </p> <p><em>If you liked this article, please consider sharing it on social media.</em></p> <p><a href="http://bit.ly/newsalertsignup" target="_blank" rel="noopener noreferrer"><img src="https://horizon-magazine.eu/sites/default/files/news-alert-final.jpg" alt="" width="983" height="222" /></a></p> <br /> <img src=”http://www.google-analytics.com/collect?v=1&tid=UA-40077089-1&cid=we-need-a-drone-register-to-ensure-privacy-and-safety---air-traffic-expert&t=event&ec=republish&ea=read&el=we-need-a-drone-register-to-ensure-privacy-and-safety---air-traffic-expert&cs=republish&cm=republish&cn=republish&cm1=1" /> This post <a href="https://horizon-magazine.eu/article/we-need-drone-register-ensure-privacy-and-safety-air-traffic-expert.html">We need a drone register to ensure privacy and safety - air traffic expert</a> was originally published on <a href="https://horizon-magazine.eu/">Horizon: the EU Research &amp; Innovation magazine | European Commission</a>. Requiring drones to identify and authorise themselves before they can fly, which could be achieved by fitting them with SIM cards, could help to protect people's privacy by providing an effective way to register both users and machines, according to air traffic management expert Robin Garrity. In 2016, the European Commission proposed the establishment of an automated traffic management system for drones operating at low-level, referred to as “U-space”. Up until now, EU Member States have been solely responsible for smaller drones (weighing less than 150 kilograms). However, legislation was adopted on 26 June 2018 to introduce EU-wide regulations for drones. The new regulatory framework that is being developed by EASA will ensure that flying drones will be safe even as the skies become increasingly busy. A key safety aspect dictates that drones capable of causing significant damage on impact will have to be registered in a new EU-wide database system. Basic principles regarding safety, security, privacy, data protection and environmental protection are outlined under the new legislation, with more detailed regulations to follow later in 2018. The European Commission has committed EUR €44 million to integrate drones safely into the airspace and to the SESAR R&D programme under its U-space initiative.